I have to admit, I've been looking forward to this issue for awhile. For one, the Christmas edition is hands down my favorite when it comes to all the home & lifestyle magazines. But this one is special because it features a fellow blogger's home. Lauren's blog was the very first blog I ever discovered. Up till then I knew what blogs were but had only seen the very big, commercialized ones. I had never seen a regular (albeit a fabulous designer's) blog. was in the basement of her mother's house while she was house hunting for her own. shared stories about her family and motherhood, and her up and coming business. 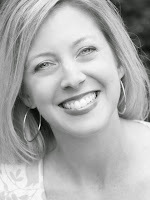 I was hooked and within days was reading a slew of other blogs too. but I feel like I can say I "knew " her when. Congrats to you, Lauren! You, your home, and your family look gorgeous! 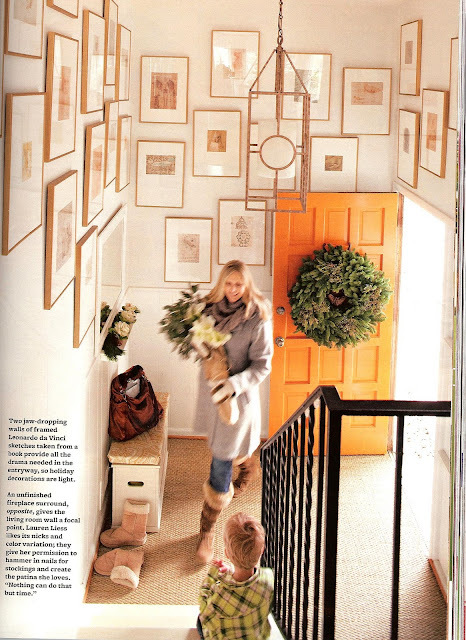 I love the framed artwork in her foyer - how wonderful! 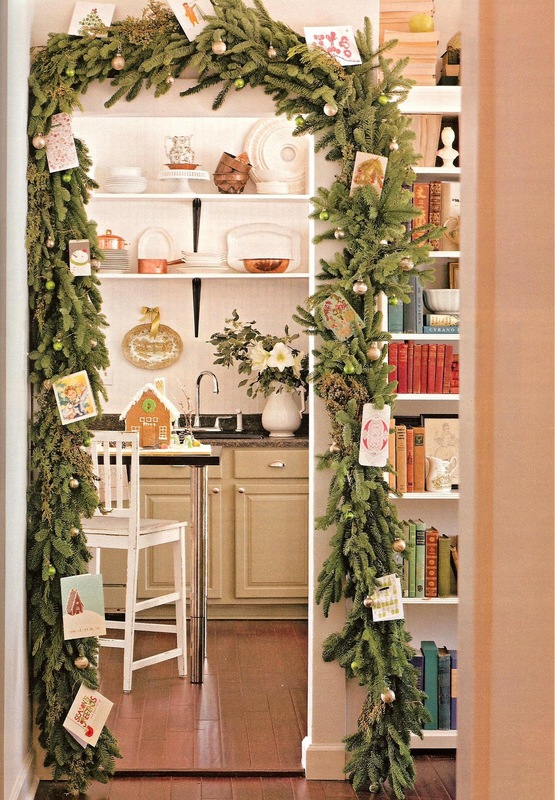 And that greenery around the entrance to the kitchen is so festive and inviting. I can see why you were looking forward to this issue. I can't wait for this issue! I saw it on the newsstand a few days ago ... for some reason I never get mine in tehm ail until a week or 2 after it is available to everyone! Looking forward to it!!! I too follow Lauren and am so excited to sit down with this wonderful magazine and sip a cup of tea while getting my holiday-inspiration fix. i've been looking forward to this issue too! i'll have to pick it up this weekend at the grocery. thanks for sharing the pics! Oooohhhh I can't wait to see it. Mine didn't get here yet. I will be waiting on the mailman today.